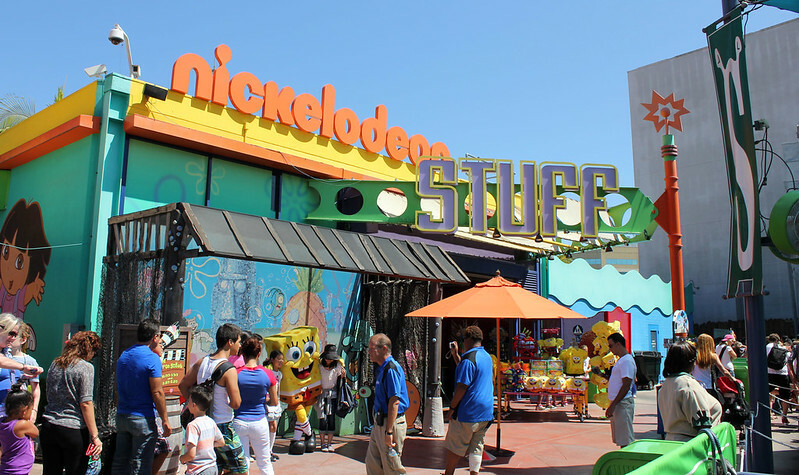 Editors’ note: Nickelodeon Stuff closed on September 3, 2013. 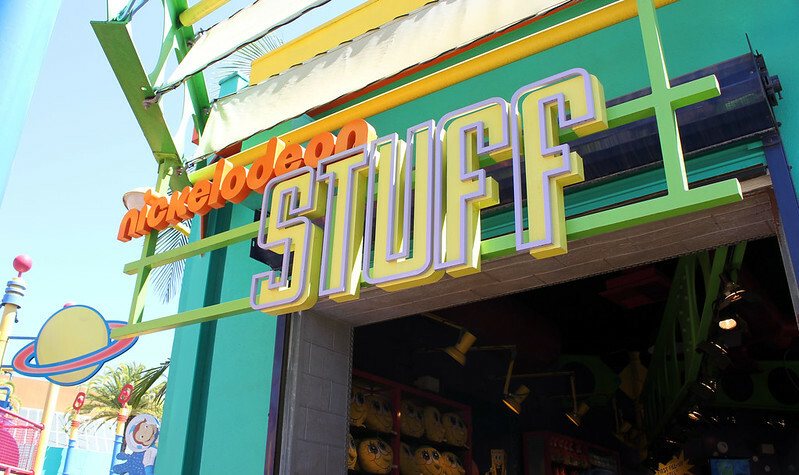 This is an archive of the original shop profile while the store was in operation. 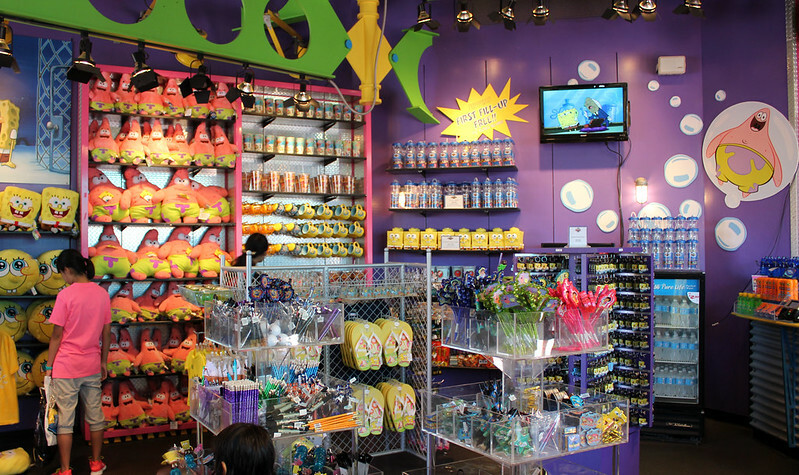 Nickelodeon Stuff, as its name implies, carries a wide range of Nickelodeon branded merchandise. » Location: At the intersection of the Adventures of Curious George and Shrek 4D. » Products: Towels, shirts, toys and stuff-animals. 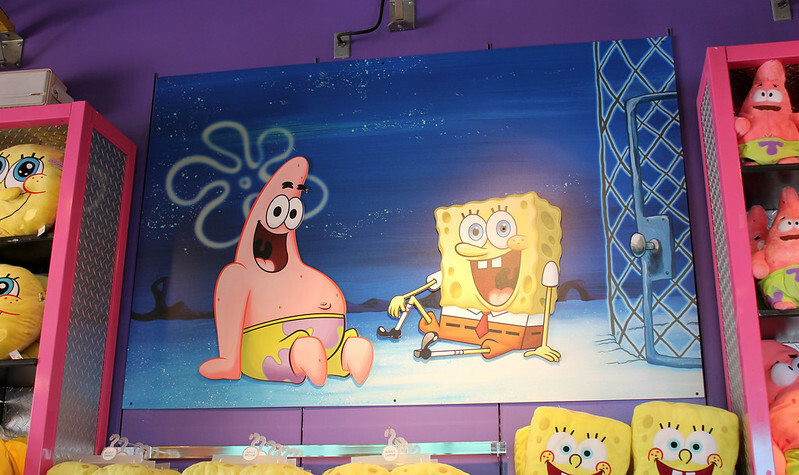 » Our take: If you’re a fan of Nickelodeon and especially of SpongeBob SquarePants – this is the place to shop. The store is especially convenient if you need a towel for the adjacent Curious George playground. » Worth a visit? 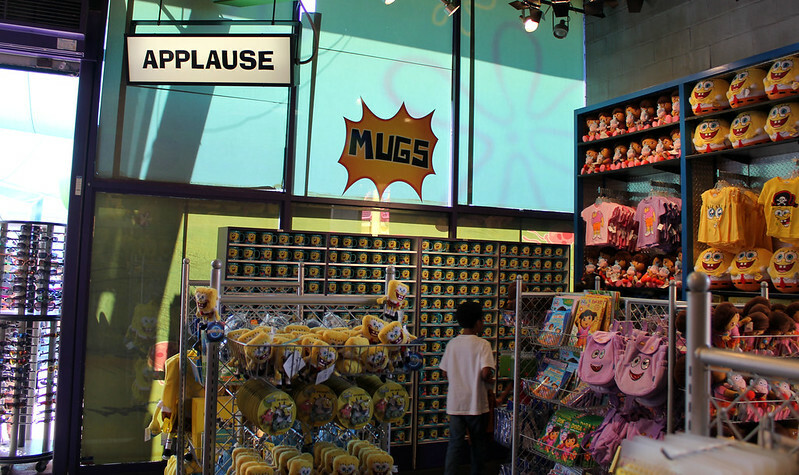 : The store only has merchandise from SpongeBob, Dora the Explorer, and her cousin Diego. That’s pretty much it. There’s not much Nick about it anymore other than those franchises. Perfect for the younger crowd, but nothing of merit for the older crowd waxing nostalgic for the old Nicktoons / Nick Studios days. If you have a smaller child who is a fan of any of these franchises, this is your place. If not, it’s a pass.